Now available on a U.S.-made DVD (with English subtitles). 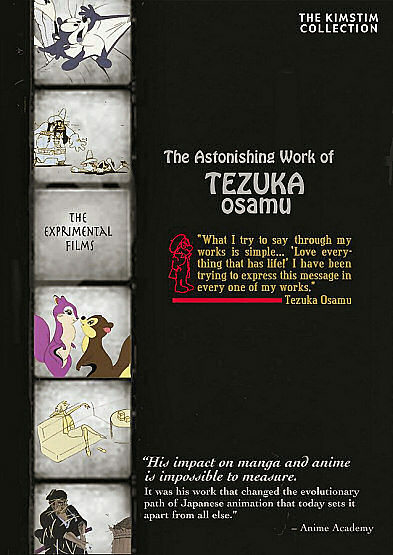 The Astonishing Work of Tezuka Osamu has now been released in the US. You can order your DVD now from Amazon.com. 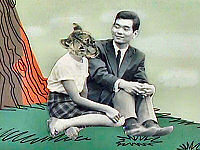 In Japan, Osamu Tezuka is known as The God of Manga (manga no kami-sama). His impact on both manga and anime is impossible to measure. His pioneering efforts in anime, such as Astro Boy and Kimba the White Lion changed the path of Japanese animation and made it what it is today, different from any other animation. 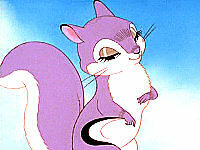 Tezuka created hundreds of comics and many dozens of films. His career is without rival for its extraordinary range of visual styles. This two-and-a-half hour DVD includes some of Tezuka's most legendary works, including "Legend of the Forest" (original version), "Broken Down Film", and the amazing and stunning "Jumping". "Legend of the Forest" is a masterpiece; an epic of forest faeries, sprites, wizards, and animals defending themselves against greedy industrialists bent on destroying nature all set to the rousing music of Tchaikovsky's fourth symphony. The first section of the film is also a complete history of animation up to the time it was made; it traces the evolution of styles from 19th-century etchings, to McKay, Fleischer, and Disney, to contemporary anime. The animation in Legend of the Forest is as inventive and beautiful as anything seen in Disney's Fantasia. 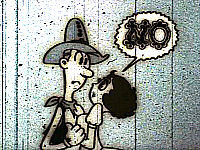 "Broken Down Film" is just what the title says, a very old, very beat-up film of a silent Western melodrama. But the physical flaws in the film are so severe they interfere with the characters in the story. Very surreal, and very funny. "Jumping" is a real animation tour de force. It's a point-of-view film of what you might experience if you could keep jumping, and achieving greater heights with each jump. You will be physically moved. Also included is "Pictures at an Exhibition" with an astounding orchestral arrangement of Modest Mossorgsky's music by Moog genius Isao Tomita. This film combines 10 short vignettes to create stunning visual riffs on various styles of art. This DVD has been available in Japan, in Japanese only. Now it is available in a U.S. version, with English subtitles, with none of the problems of foreign DVDs--Guaranteed to play on all US DVD players! Bonus: Interview with Tezuka Osamu (1986) length: 18:19; with English Subtitles.